Sure, the new Tampa Bay Rays stadium is in the early stages of creation, but the thing about this project is, it is so much more than just a place to catch a game. 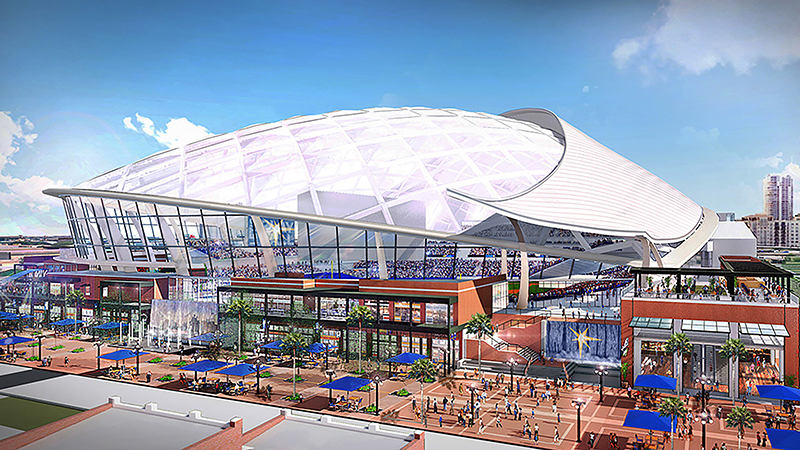 This summer the Rays presented their vision for the new site, saying it would cost about $900 million to build, including the transparent roof. It would have 32,000 seats, making it the smallest in Major League Baseball, and would be located in Ybor City along Channelside Drive. The whole Tampa Bay area should be excited about this opportunity. The exterior will have a distinctive design that will be globally recognizable. Everyone that sees it will immediately know, “that’s Tampa Bay, Florida.” The proposed seating will be extremely interactive and technologically advanced. It will include chairs that swivel and offer table-like seating. That, along with the unique exterior design, will create an “I’ve got to experience this place” attitude that will make it attractive. It also will create a longer “honeymoon” period that should last for more than the usual one, or two, years that new stadiums typically get. This will not be just a ballpark, but a tourist attraction that will maintain interest for years beyond the initial build out. Add to that, the real potential of a railway system from Orlando to downtown Tampa in the coming years, and you’ve got a real home run. Can you imagine families visiting Orlando being able to take a 30-minute drive and catch a game of their favorite team playing against the Rays on their vacation? Grab a bite, and see Ybor City! This could be one of those structures that puts our area on the map, a mega edifice. Think of the Sydney Opera House. People associate that building as synonymous with Australia—they may not know it’s an opera house, or anything else about it, but they know where it is. What they are proposing with the latest rendition of the Rays stadium is a 365-day-a-year venue and opportunities for non-baseball activities as well. Tropicana Field is limited with what it can host, it would be smart to make this new stadium multi-use, enjoyable and functional every day. It’s dramatic and could rejuvenate Ybor and tie in with the “Vinik Vision.” The bottom line is, it makes sense. This project will need public and private support to in order to become a reality. But it will be worth it in the long-term. 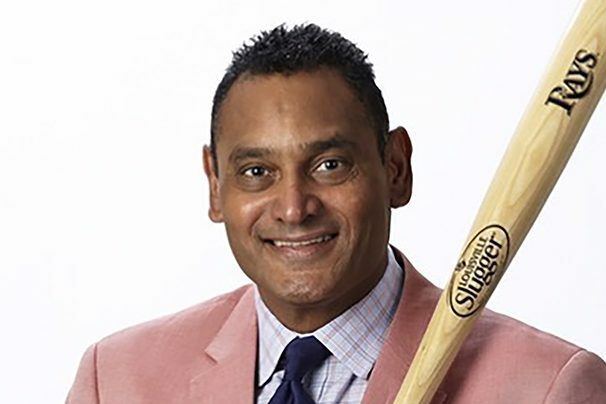 Orestes Destrade is entering his eighth season as a part of the Tampa Bay Rays Fox Sports Florida broadcast team. He played 15 pro seasons including in the Major Leagues with the New York Yankees, Pittsburgh Pirates and Florida Marlins. Also included in that span, was playing for the Seibu Lions of the Japanese Pro Baseball League. Following his playing days, Destade served as a Tampa Bay Rays front office executive director for four years, before beginning his broadcasting career.